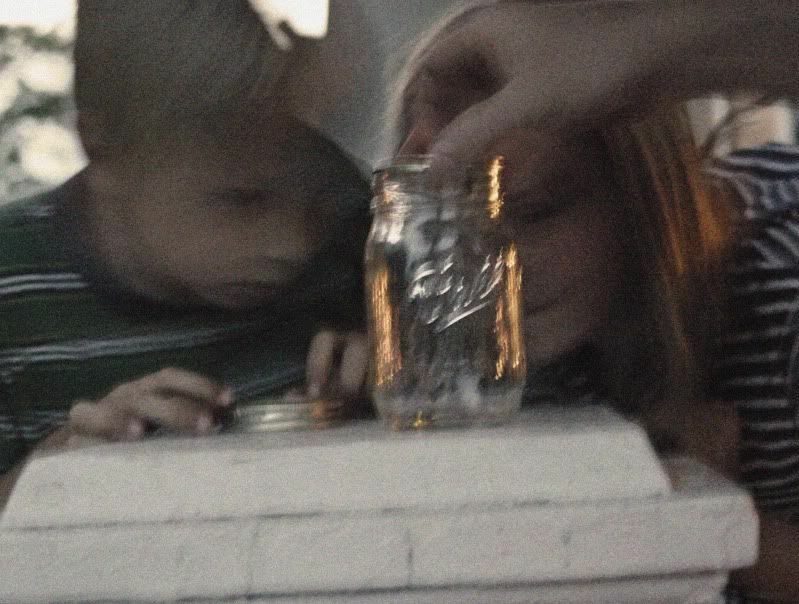 The kids caught lightning bugs and put them in a jar. But then one of them noticed that a couple of our lightning bugs kept... ahem, "wrestling". Those two just would not cut it out! "Mom, why do they keep doing that?" "ummm, they think it's fun to wrestle." The Man and I were trying hard to stay serious. 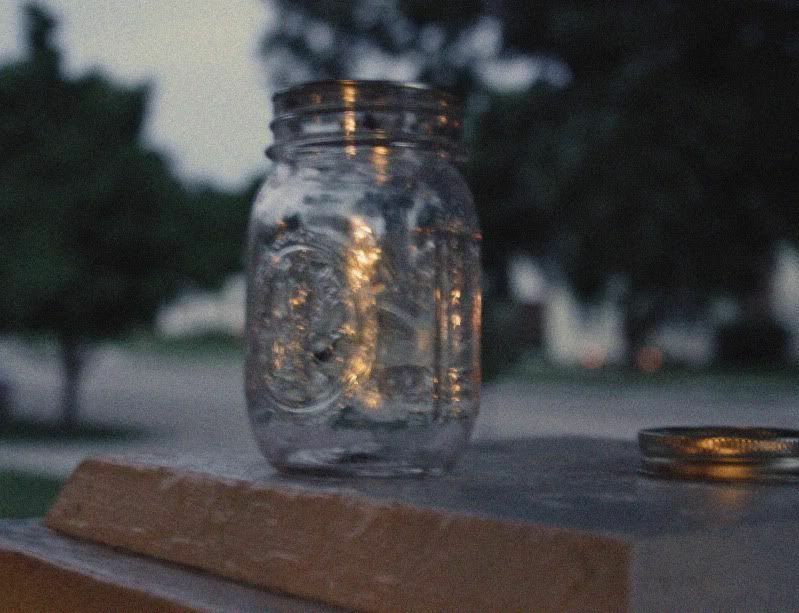 The lightning bug population in Kansas will be increasing soon. Yeah, my kids don't understand why the neighbor's dogs wrestle like that either. You are so funny! I think you handled it well! LOL. Cute! I'll remember that one when the time comes I have to explain something. I miss lighting bugs, they don't have them here. It's one of the things I miss the most. we had a lady bug wrestling issue at the beach once! love the song playing right now..
have you heard the song fireflies that Faith Hill sings? Too funny! 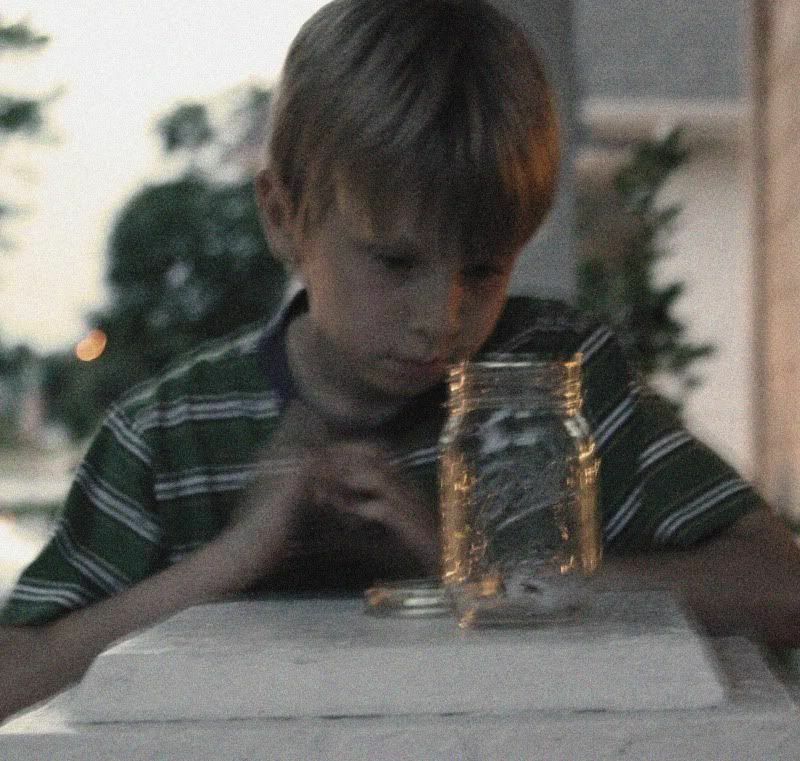 I love lightning bugs and a catch them just like a kid. I had never seen lightning bugs until we lived in Texas for a couple of years. They are the coolest ever! Wish I could bottle them and bring them to California. wrestling lightning bugs. too cute. how sweet! we never see too many of them here, what a fun night for you all! That is really funny! They were so captivated. Animals are so curious to us, aren't they?